He loved science fiction, and often on a Sunday morning when we were all lined up and finally ready for church (three of us were girls which took a while), father would be missing. Mother would find him hiding in the bathroom reading science fiction like it was a forbidden pleasure. After he retired, he embarked on his great writing endeavor. One day he came to me and confessed that he had tried to write and couldn’t. He wanted to, but the words weren’t there. He threw the torch in my direction and became my inspiration. One story attempt turned into a whole universe of people and events, then became a series. 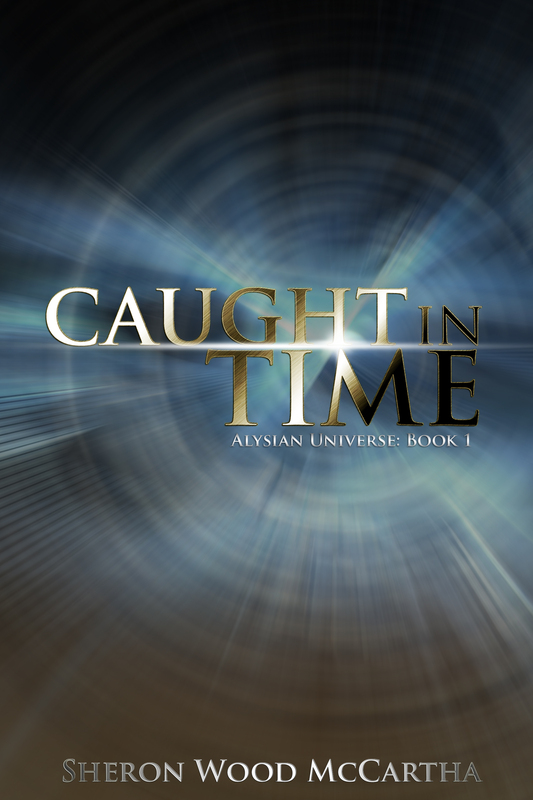 Caught In Time starts the series with a time travel adventure/romance on an alien planet. 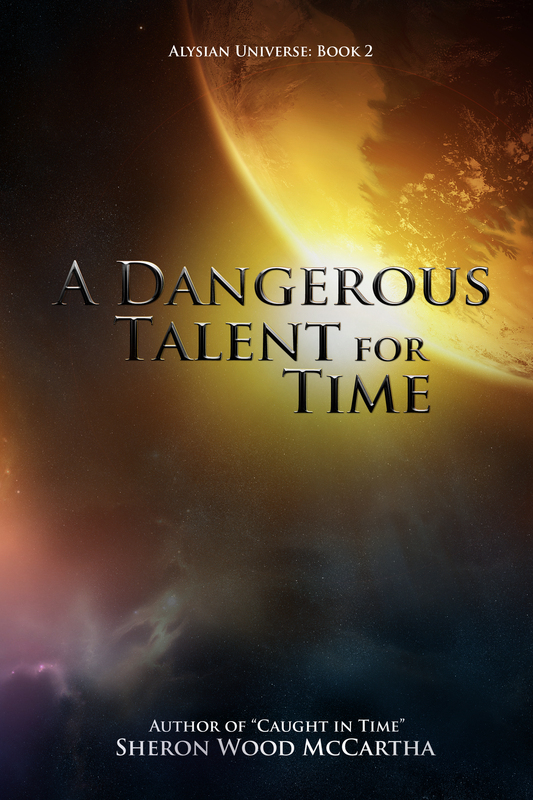 A Dangerous Talent for Time continues the story, and is about a wild Talent who can manipulate time and change the future. 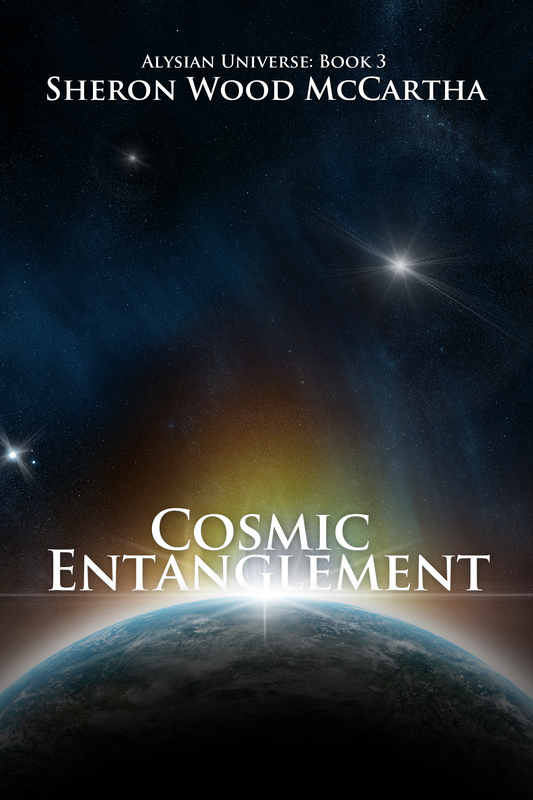 Cosmic Entanglement is about what happens when an alien probe crashes on Alysia. The consequent space program faces difficulties. Some won’t stop at murder to destroy it. Next, I wrote Past the Event Horizon that is a space adventure of a search for the aliens of the probe. Then Space Song tells how Richard learns that an alien invasion is likely and he must create a defense for the planet. In Touching Crystal, a comet shakes up the planet, and Richard Steele accidentally uncovers a smuggling operation of alien crystals that creates turmoil. Once I got going, I couldn’t stop and now I have Someone’s Clone and the latest in the series Time’s Equation. Not done yet, I started a new series called the Terran Trilogy. A World Too Far is the first in that series and delivers the story of the Terrans from Earth searching for a habitable planet. The second in the trilogy is Somewhat Alien. Captain Elise Fujeint finds a habitable planet for her desperate fleet, but the natives, though human in appearance, are not welcoming. Currently, I’m finishing up the third book in the series, The Weight of Gravity, that describes the problems of planet living for the space travelers and the threat of possibly more invading aliens before Terran and Alysian can even learn to co-exist. Another turning point involved my mother. She was not the avid reader that my father was. She knew that I had written a book, a science fiction book actually, but she is a doer type rather than a reader type. She lives in a wonderful assisted-living residence in Nashville where activities are planned all the time. They invited me to come speak. Now, I was a newbie author at the time, even though I had taught creative writing and had a Masters degree in English. I would have been happy to see three or more people show up for the talk. I was still getting the word out. The whole room of fifty plus chairs filled up. My mother got extremely nervous. I talked about the crazy business of writing, the wild ride of being an author, and a little about the books. I gave a lot of personal anecdotes that made my mother cringe, I’m sure. After the end of the presentation, many people came up to tell me how much they had enjoyed the talk. I sold every book I brought and then some. They were a warm and wonderful group. And my mother was flabbergasted. 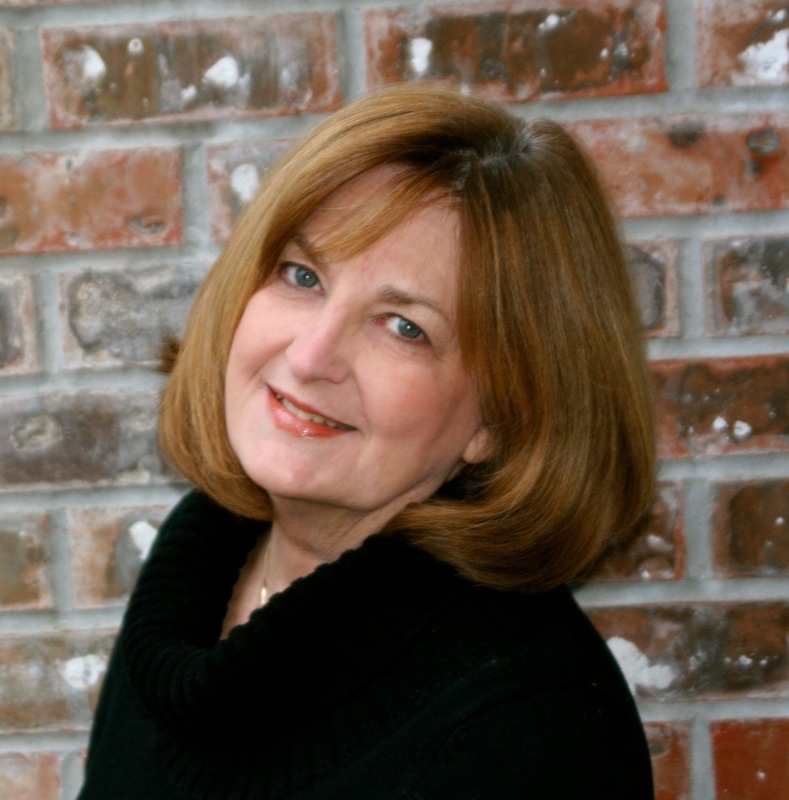 She had no idea her first born child was a successful writer or would be so well received. I stand tall…five feet eleven inches plus tall. But that didn’t stop me from doing stuff. Not able to travel in a spaceship, I did manage to solo a Cessna and copilot with my husband in our Mooney all over Florida, and beyond. Also, we raced our sailboat on the Chesapeake Bay when I lived in Annapolis, and during summer vacations, luffed about in the Caribbean. One of my day jobs was as a stock broker for Legg Mason Wood Walker out of Baltimore, Maryland, and also at various times, a high school teacher and an art gallery manger. I paint oil landscapes and seascapes, usually with water pictured somewhere. Now, I snuggle indoors reading and writing, surrounded by tall Douglas Firs of the Northwest, creating alien worlds and thrilling to starship adventures. A bulletin board on a highway originally sparked my imagination, and now I am publishing my tenth book. Science fiction is my read, roses are my delight, snowshoe kittens Bubba and Beau are my joy, daughter Lauren, my love, and husband Bland, my rock. Check out: http://www.AlysianUniverse.com for more in depth information on the Alysian Universe. would you be interested in reviewing a copy of my book The Final Arbiter. It is my first novel and it came in number 6 in the top ten Reader Choice Science Fiction and Fantasy Novels in the 2011 Tor.com Reader’s Choice Awards. I can send you additional information if your interested. I hope the read back from you and thank you for your time and consideration. Yes, I would be interested. Send to shmccartha@gmail.com. How can I submit a book for you to consider reviewing? send a pdf to my e-mail address at shmccartha@gmail.com or mail it to my office ( I’ll give you address if you go that route) or put it free on Smashwords and I’ll download it from there. Or…I liked your blog and your price was good, so I just downloaded it off of Amazon and it’ll help your Amazon sales numbers…how about that? Either way works for me. Did you already purchase it? If so, thank you for the support. Please contact me when you review it, I’ll certainly direct traffic to your review. Yup, and so far I like it. Stay tuned. Sheron, Would you be interested in reviewing my husband’s first book? It is called Mind Ambition by Stephen Whaley and is in the science fiction realm. It is published to Amazon. I would be happy to email you a copy if you are interested. Thanks for your consideration. Synopsis: After a rogue artificial intelligence takes over the entire space colony Gnosis, Earth itself is the next target. Grant Jemson, an ex-pilot turned gamer with a fear of space, must face his troubled past in order to stop it. His partner is John Ridley, a special agent with a personal vendetta that could jeopardize their mission. As part of its plan, the A.I. manipulates the colonies into declaring a war of independence against the Earth. Grant and Ridley must race against the clock in order to both save the Earth and prove to the colonies that they have been tricked. Will they be able to overcome their personal struggles and pull off the most daring mission space has ever seen, or will the A.I. triumph and enslave the Earth? Excellent, what a website it is! This blog presents valuable facts to us, keep it up. thank you for the amazing article! I have been browsing for things close to this. i’ll be subscribing your Feed so i dont miss out the good stuff! once again, wonderful web-site please keep it up! Please pardon me if my english is not good. Thank you Annie/ Looking forward to hearing from you. the exact same area of interest as yours and my visitors would really benefit from some of the information you present here. Spacy blog. I checked it out. knows the solution will you kindly respond? Thanks! Haven’t heard about issues, but I use WordPress because I’m not computer savvy. Others have joined up without a problem that i’m aware of. Would you be interesting in reviewing my book? It’s a story about a device that manipulates memories and allows people to be controlled like puppets. If you’re interested, you can read more about the book at thelightcap.com. Dan: Your story sounds intriguing. I would be interested with caveats. One is I will be out of town most of June. So I would consider August at earliest. Also, how do I get the book? You can e-mail a pdf or pubit copy and I can put on my iPad. My procedure is that if I like the book, I’ll review it. If I’m not fond of it, or it doesn’t fit it with the blog I’m doing, I’ll thank you and not publicly comment. As an author myself, I am sensitive to criticism….as a reviewer…I have my integrity to my readers in suggesting a good book, and you wouldn’t believe what’s out there! I am fine with waiting until August! If there’s one thing I understand, it’s being busy. 🙂 I signed up for KDP select, so currently the book is not available on the iBookstore. I’d be happy to provide you a copy in PDF format. Honestly, if you wanted to meet up somewhere locally (such as Ava Roasteria) I could even give you a paperback copy. Ultimately, I will try to accommodate whatever works best for you. And of course I understand wanting to remain impartial and honest as a reviewer. I appreciate whatever feedback you can give. Even if you don’t like the book, I’m sure you will have helpful suggestions to offer. I will email you at the address you listed above in another comment. 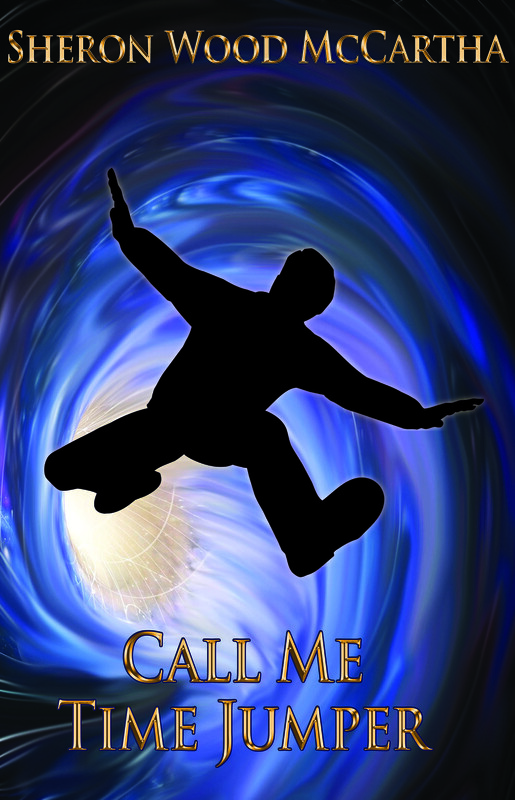 I was wondering if you would be interested in reviewing a new sci-fi short story collection (set to be released on July 26th) by Colin Wright (world traveller, and author of the very popular book “My Exile Lifestyle”). If you are interested, please e-mail me at madeleine@asymmetrical.co. At this time, I am not doing short story collections unless they are personal friends. I appreciate your asking, but I must decline.. I know you’re getting backed up with review requests, but if my book ‘Sequela’ interests you at all I would love for you to review it in your own time. http://www.amazon.com/dp/B00DBMQCKG. I can send you a copy if you wish. I was very touched by your biog btw. Hi Sheron. I’ve just released my debut novel and I was wondering if you might be interested in reviewing it. Physics isn’t easy. Rule number one should always be ‘Don’t destroy the world’, but sometimes science doesn’t follow the rules. An experiment gone wrong means the Earth might only have days left. The planet is being torn apart by an invisible and deadly… something. Physicist Mia Green must get home to England, from a devastated Paris, to find her family and maybe, just maybe, stop the experiment that’s ending the world. I really hope you get the chance to read it. Let me know if you are interested and I’ll pop across copy to you (there’s a preview on my website if you want a sneak peek).